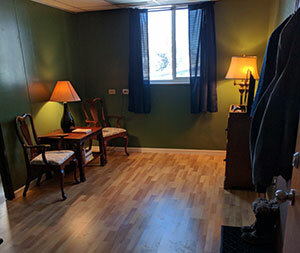 At Sealander Chiropractic we take a very comprehensive and individual view of each patient. Here, we don’t just look at an elbow, shoulder or low back; we look at the entire body. We assess how your entire body moves, stabilizes and coordinates itself as you move through space and through this information we can determine WHY your elbow, shoulder, low back etc. was being disproportionately stressed. We look at each patient from a functional approach, assessing global movement patterns and then determining why it is that you’re experiencing the symptoms that you are. It is for this reason that you’ll get more than just symptom relief. You’ll get a true answer for why you feel the way you do. At Sealander Chiropractic we also take a very hands-on approach to treating patients. Once we’ve identified the cause of your symptoms we’ll use a variety of integrative, evidence-based treatment techniques targeted towards improving the quality of your movement. You will likely leave here feeling lighter, more mobile, more stable and without your area of complaint feeling as stressed or reactive as it normally would be. Pain relief usually occurs very quickly with this approach. Dr. Sealander uses a motion palpation approach toward assessing joint function. Through various palpations it can be determined which of your joints are moving appropriately, which ones are restricted in motion and which ones are hyper-mobile to make up for lack of movement elsewhere. By mobilizing or manipulating the joints with restricted movement, normal motion can be restored, allowing the previously hyper-mobile joints to not be stressed so much. This is an example of how your symptoms (whether it be pain, numbness etc.) may be located in a different area than your underlying problem. 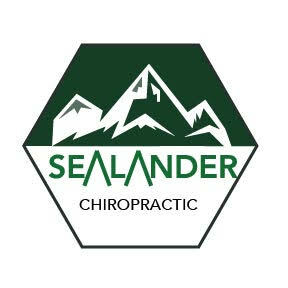 In addition to being a chiropractor, Dr. Sealander is also an alumnus of the Onondaga School of Therapeutic Massage and is highly trained in various soft tissue therapies. If your pain or loss of range of motion is due to muscle hypertonicity or fascial shortening then myofascial release therapies may be very beneficial for you. Once your joints and soft tissues have been appropriately mobilized you’ll be given one or two exercises to reinforce new, correct movement patterns. For example, if you go back to your old posture, or old movement or breathing patterns while working out, then those same muscles will tighten up and the same joints will be over stressed or underused. By exercising, and training your nervous system to use correct movement patterns we can prevent you from needing to get adjusted in the future. DNS is a rehab approach that emphasizes the role of correct breathing for proper core stabilization. Proper breathing utilizes co-activation of your diaphragm, abdominals and pelvic floor musculature to create intra-abdominal pressure that stabilizes your lumbar spine. This pattern of breathing requires little to no activation of the muscles around your neck and chest. Also, when intra-abdominal pressure is insufficient the muscles of your low back, hamstrings and hip flexors all increase in tension to maintain sufficient core stability. For these reasons, training correct breathing patterns can relieve the tension in your neck, upper back, low back, hamstrings and hip flexors. Due to the role and activation of pelvic floor muscles in correct breathing DNS is also very beneficial for patients with urinary incontinence, urinary retention, constipation and pain in your coccyx or SI joints. Whether you’ve had a stroke, concussion, or other traumatic brain or spinal cord injury Dr. Sealander may be able to help you. From neurologic testing done in the office, it can be determined what parts of your brain are functioning appropriately and which areas have been injured or affected through disease. Once these areas have been identified various treatments or exercises may be used to stimulate these areas and “strengthen” them, so to speak. Through strengthening these connections in your nervous system, function can be improved and symptoms gradually diminished.